A 145-feet long filigreed metal mural, The Ford Empire, swept almost the entire length of the curved outer wall. On the balcony walls at either end of the foyer stood polished metal theatrical groupings of circus performers, musicians, harlequins, and dancers. Formed from literally thousands of pieces of copper, nickel, brass, stainless steel, and aluminum and plated with gold, zinc, and cadmium these pieces were hand-shaped, joined, plated, and polished. 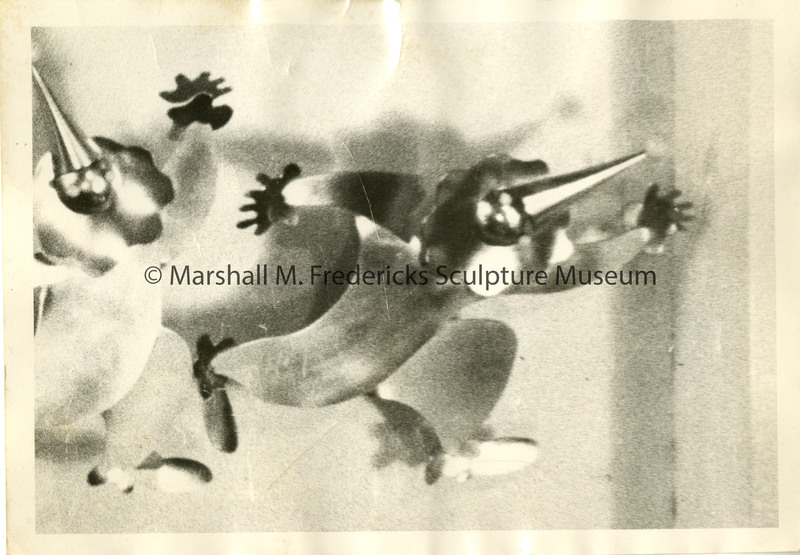 “Close-up of "Circus Parade" for the Henry and Edsel Ford Auditorium,” Marshall M. Fredericks Sculpture Museum, accessed April 25, 2019, http://omeka.svsu.edu/items/show/8059.